Your Honor, the prosecution would like to call a few key witnesses to the stand. Alfred Morris, are you aware that you were a 6th round draft pick from a school that went 1-11 last season? 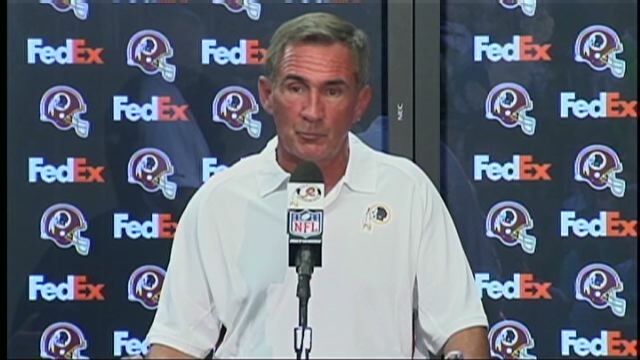 And that you were 4th on the Redskins depth chart as recently as 10 days ago? Just who the hell do you think you are? Jeremy Kerley, did you know that you scored more touchdowns in the first 18 minutes of this season than you scored in the entire 2011 season? You weren’t even a top 100 WR in fantasy drafts this year! How do you respond? Maurice Jones-Drew and Adrian Peterson, perhaps you could provide us with your definitions of “third down back” and “ease into the role,” because it clearly contradicts with what we all understood it to mean. How dare you convince us to start Rashad Jennings and Toby Gerhart! And don’t think for a second that we’ve forgotten about you, Kevin Ogletree! You were supposed to be the 6th best receiving option for the Cowboys. Do you think this is funny? Does it amuse you to break the hearts of Witten/Bryant/Austin/Murray owners? Ladies and gentlemen of the jury, because of these (and many more!) offenders, your individual player fantasy football draft has depreciated in value astronomically in a very short period of time. Your regular season may well be decided in the next 48 hours by the transactions involving these draft day nonentities; and then god only knows what will decide your post-season. This isn’t roulette! This is fantasy football, dammit! And we reserve the right to some semblance of control over what happens in our league! The prosecution rests. For now. We’re not even a full week into the fantasy football season, and I’d say there’s a better than 70% chance that you’re already pissed off about something that could’ve been avoided by establishing your very own fantasy team units league. Unfortunately, I can’t help you if you wanted Chris Johnson, Cedric Benson, or DeAngelo Williams, because those rushing units had a sub-par day, to put it lightly. But if you missed the Alfred Morris memo, or missed out on what could’ve been a great day for Santonio Holmes, Toby Gerhart, Miles Austin, Fred Jackson, Ben Tate, Willis McGahee, (can I stop yet?) Roddy White, Marques Colston, DeSean Jackson, or Roy Helu because somebody else stole their glory, well then I’m here to tell you that your migraine could have been averted. 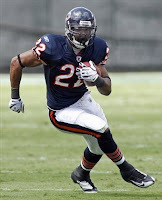 - Matt Forte scored 18 points in normal leagues, but those vultured TDs no doubt left you wanting more. You could have handcuffed him with Michael Bush’s 16 points for a total of 34, or you could have received 30.12 points for CHI R in a units league; good enough for the highest scoring unit this week. - Lance Moore and Jimmy Graham both had solid days, putting up 18 and 14 points respectively, but how do you choose between the various Saints receiving options? You can’t! That’s why you play the NO P unit and get 23.56 points. 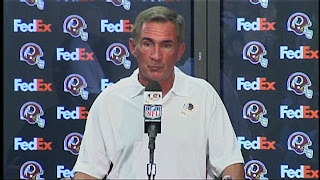 - We’re beating the Alfred Morris horse to death here, but if you’re like me and you knew the Redskins would run the ball but had no clue on draft day which guy would get the bulk of the carries, you would have been glad to take WAS R in the 3rd round of your units draft and reap a benefit to the tune of 26.24 points in week 1. - Test results are still pending, but Fred Jackson might end the 2012 season with 1 fantasy point. Like Jamaal Charles last year, too bad so sad if you drafted him, but BUF R dropped 21.2 points yesterday, and may finally have no choice but to make CJ Spiller – who ohbytheway was drafted about 6 rounds after Jackson in “normal” leagues – the feature back. - And just in case you’re in a 3 QB league or you drink heavily and ended up with John Skelton’s 3 points in your starting line-up, at least with this fantasy system you would’ve been immune to the injury and still scored 11.2 points after Kevin Kolb led the Cardinals to a 4th quarter comeback (insert overdone joke about the Mayans here). Before the season started, I was much more interested in this fantasy units experiment than I was about either of my other leagues, and at the end of the first Sunday, that has only been reinforced. And for the record, it’s very likely that I will win this week in both of my individual player leagues while losing in the units league this week to the guy I said set himself up very nicely in Friday's draft recap. Once the remaining Monday night games have been played, I’ll put up another post with our league scores and what each unit tallied for the week. In the meantime, if you’re an ardent supporter of individual player fantasy football and think this is a dumb idea that will never catch on, I dare you to explain why.